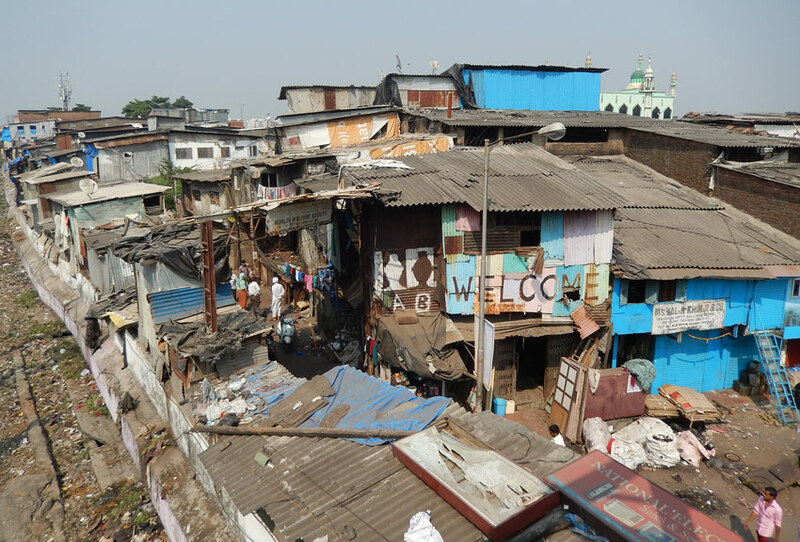 The slums of Mumbai: To tour or not to tour? 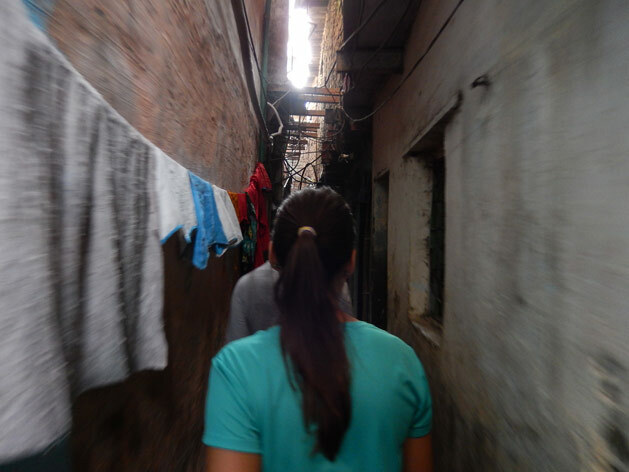 We’ve had mixed feelings about whether or not we wanted to take a tour of one of the many slums here in India. Slum tours are not unique to India, but India is definitely one of the countries at the forefront of the ethical issues that slum tours raise: Are slum tours helping people in the slums or just a way to profit off the poor? or Why are we encouraging foreigners to gawk at the poorest of the poor? The debate can rage on forever, but we have three days left in Mumbai, and need to make a decision. 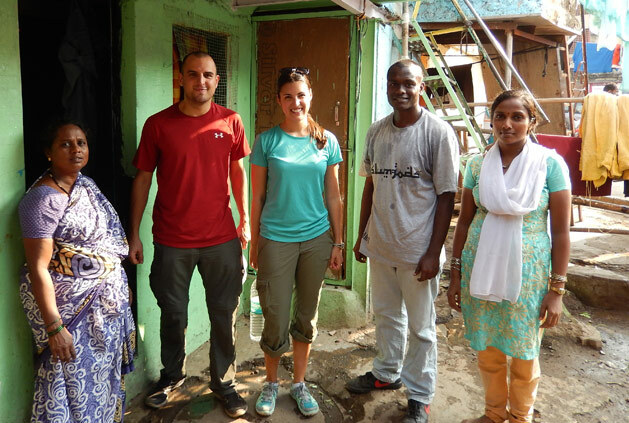 To us, there is no right or wrong answer about slum tours, and the biggest factors of whether slum tours are ethical fall on the tour operators and the tourists themselves. We want to tour the slums in order to learn about the realities of life here as well as to test our prior assumptions about what life in a slum is like. Our goal here is not to gawk but to respectfully learn and maybe we can help to clear up misconceptions that we and others have about slums. 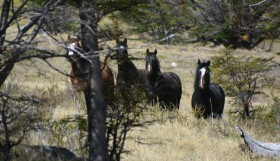 The second important factor for us is to find a tour operator that is clearly not just here to exploit people. After doing some research online, we stumbled across a small company run by three young tour guides called Slumgods Tours. These three, early-20’s guys are all residents of the slum, and all used to work for some of the larger slum tour operators, but have since broken off to do things their own way. After talking with Akash, one of the owners, we feel extremely comfortable with how his business runs their tours. He tells us their business’s objective is to dispel the negative image of the Dharavi and other slums in India. This is exactly the type of tour operator we were looking for, and we were even more excited to find out we were only his 15th and 16th customer! We are the only two on the tour this afternoon, and we will be touring Akash’s own slum, known as Dharavi. We are given all the rules of the tour, like no pictures of any people without having Akash first ask permission. He tells us to try to be as invisible as possible and that he will take us through areas that he knows we won’t be disturbing anyone. 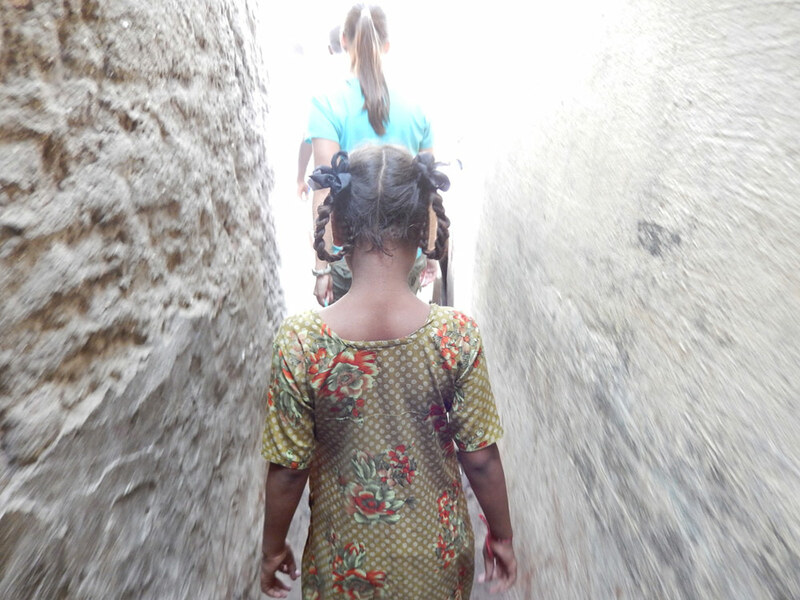 We start by walking over one of the main entrances into Dharavi, a small, crowded railway bridge. We stop at the top of the bridge and Akash asks us what we know about slums and what our preconceived notions are about life in slums. 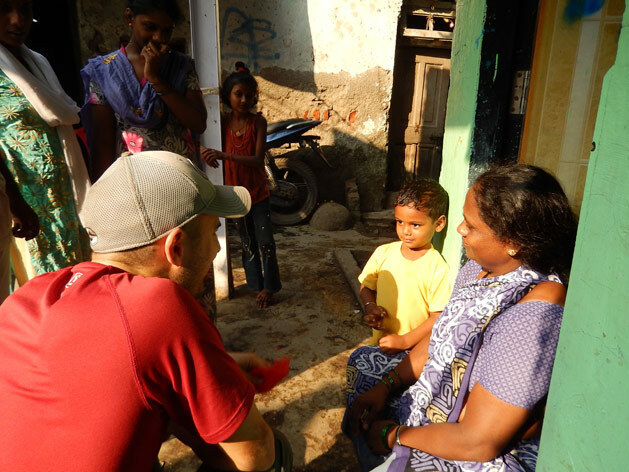 We feel nervous to tell him our assumptions about slums, and more embarrassed to tell him why we have those assumptions. He senses our apprehensions and jumps right into it by asking if we have ever seen the movie Slumdog Millionaire. Dan then has to admit that many of his assumptions about slums come from that movie. Akash tells us that those in Dharavi hate that movie (which is set in Juhu slum near Dharavi), because it shows many parts of slum life that are not true and doesn’t show many of the good parts of the slums. We admit that our assumptions are that slums are crowded and dirty, that children work instead of go to school, and that the living conditions are overall very poor. Over 1 million people call this slum home. Occupants can get everything they need here. 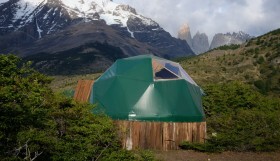 Running water, bathroom facilities(shared), electricity, televisions, mobile phones, internet, etc. There are fresh food stalls, clothing stores, schools, banks, hospitals, clinics, dentists, wedding banquet halls, you name it. It is a city within a city. Moving to Dharavi is difficult – because of the prime location in the center of the city, the proximity to 5 railway stations, and the ban from the government of expanding, rent outside the slum is very expensive. Many families have owned their home for generations, since their ancestors started squatting here. Akash lives in his mother’s home with 16 other people. The house consists of 5 or so rooms, all the size of most American bedroom closets. We start our tour on the west side of the area, the commercial side. It is surprising to learn how much industry there is inside of the slums. We had always assumed slums were 100% residential, when in face, this slum has an economic output of around $500 million USD. We walk past factory after factory, all full of hard-working men making goods from local recycled materials. We see plastic, paint cans, leather, aluminum, and pottery all made from materials collected throughout the city or from the waste materials of large manufacturers. The working conditions are pretty rough – dark, dirty, and poorly ventilated – and we don’t see any safety equipment. Most of the workers here earn 150-300 rupees per day, about $2-$5. Many of them actually live in the rural areas of Mumbai and come to Dharavi during the dry season to find work because of their lack of education. They often get free accommodation on the floor of the same factory they work all day in. The plastic factory was especially interesting: bags of recycle plastic are purchased from “scrap beetles” scrounging the city. 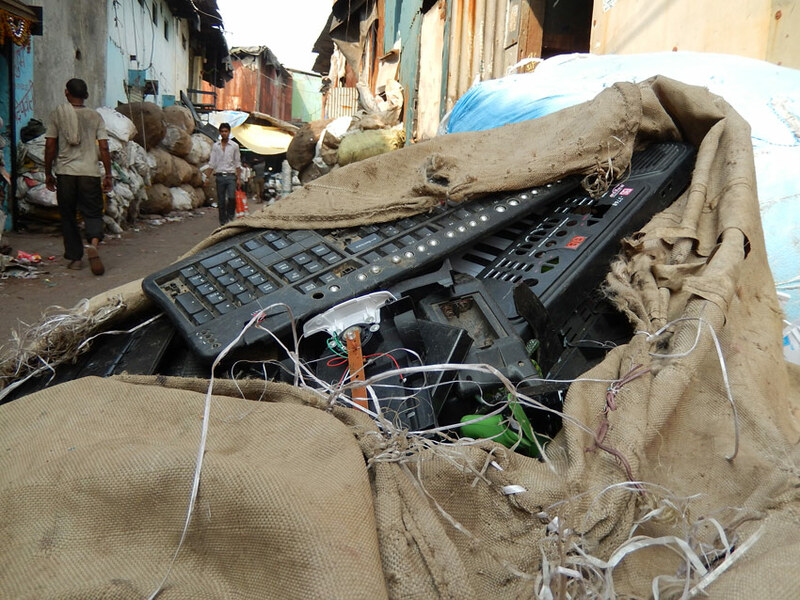 The plastic is shredded with electric machines that are built right here in Dharavi by the same men with low education. The men here have become so good at creating these specialized machines that they now even export them to China. The plastic is sorted, shredded, washed, dried, melted, then formed into pellets. The pellets are then sold by the kilogram for about four times the price of the materials to manufacturers of various toys, electronics, automobile parts, etc. (they aren’t safe for food containers). After the commercial region, we cross a busy road named ’60 Feet Road’ to enter into the slum’s residential area. At this point, Akash jokes, “if you get lost, don’t use Google maps, because it won’t help you here.” He’s right. We follow him through a labyrinth of alleys, some so narrow they block the light like a tunnel. Some kids say hi to us, but most people ignore us. I’m sure we don’t blend in, but there is a steady stream of people walking around, doing chores, and running errands. 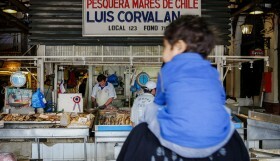 He shares another surprising fact: that there are people living here from many different economic statuses. Rich people, such as politicians (“legal mafia”, in his words), doctors, and police are among the residents. There is a common misconception that everyone in a slum falls into one category: poor. When in fact a slum has levels of status and income just like any other city. Living in a slum and being poor aren’t mutually exclusive groups here. Maybe by Western income standards everyone here is poor, but when you walk around in Dharavi and see a family living comfortably, happy, like any other middle-class family, the last word that comes to mind is poor. The thought that every person who lives in a slum is miserable and would do anything to move is 100% not true. Another misconception about the slums is the religious tensions. Akash explains that there are people from many religions – Hindu, Muslim, and Christian mainly – living here. They live separately, in their own communities, but they don’t fight. There are many temples, mosques and churches in Dharavi and all coexist peacefully. We walk to the edge of the buildings and see one of the 600 community toilets, 1 for every 1500 people. 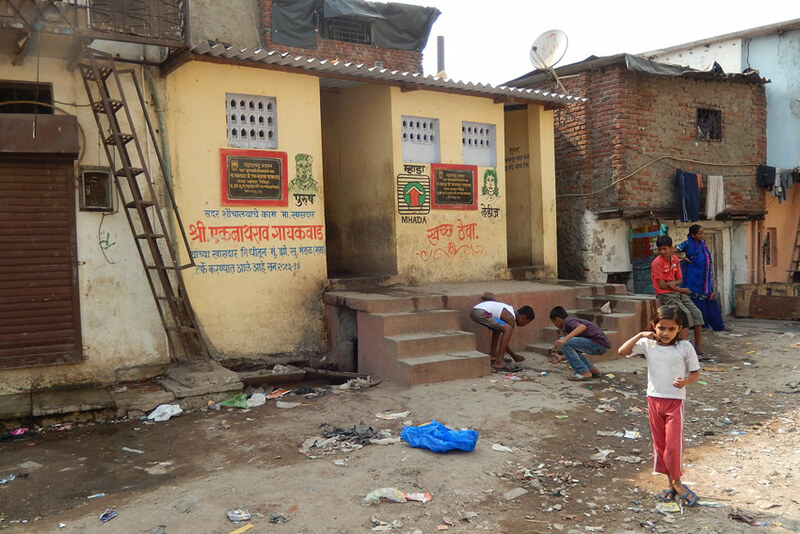 Less than 2% of Dharavi residents have a bathroom in their home. Also on the edge of the rows of elaborate tin shanties are a few more traditional, cement and brick apartment buildings. Apparently the government built these in 2004 as part of a project to get rid of the slums, but no one wanted to move in. In an apartment, families lose the ability to build up as they need/can afford to. Also, Akash explains the loss of community feeling that residents of the building report. A bathroom in Dharavi, shared by over 1,000 residents. We witness some other industries run from the homes. Women don’t work outside their homes, but many of them are hired by a local manufacture make papadums, a type of bread/cracker, to make extra money for the home. 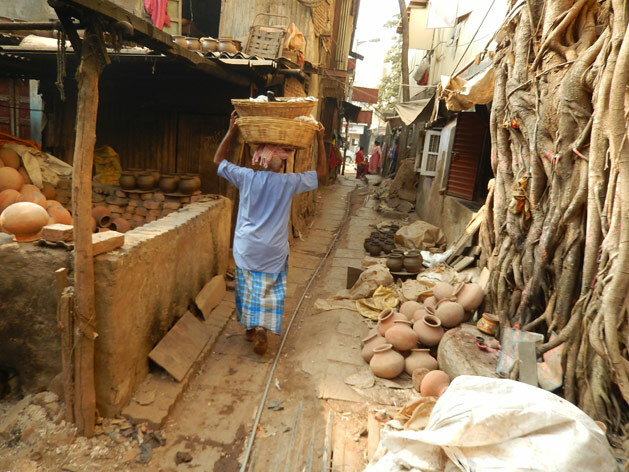 We also walk through a neighborhood solely populated with families who have been making clay pots for generations. We walk by one of the kilns, a pit in the ground with burning garbage – cotton rags, waste from the leather plant – and hurry upwind as I hold my breath. 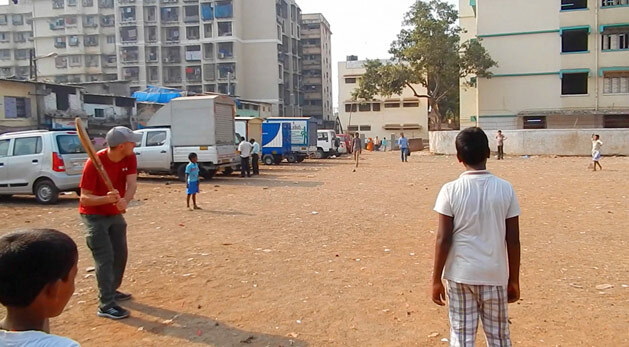 Around the corner, kids are playing cricket in an empty lot. Dan asks for a turn to bat, and the kids laugh as he knocks a few “4’s”. I think he hoped they would mistake him for some famous Australian cricket player, but I could tell the kids weren’t fooled. They were all much better at cricket than he was. We finish the tour at Akash’s home. It’s large by Dharavi standards: 5 rooms for 16 people. We meet his mother, one of his sisters, his nephew, and his future wife, 17 years old, promised to him when she turns 21. We have a friendly conversation and his mother jokes with us while Akash translates. She offers us fried breaded fish with roti (bread). The fish is delicious, and another misconception is crushed. Not all food in a slum is bad. In fact many of the foods that people here eat, in one of the world’s biggest slums, is fresher and healthier than most Western diets. Overall, the tour was a positive experience for us. I never felt like we were intruding on anyone, only walking through the streets like any walking tour. I’m sure the people living in Dharavi wonder what is so interesting to us, but they didn’t seem annoyed, even the few times Akash asked them questions for us. 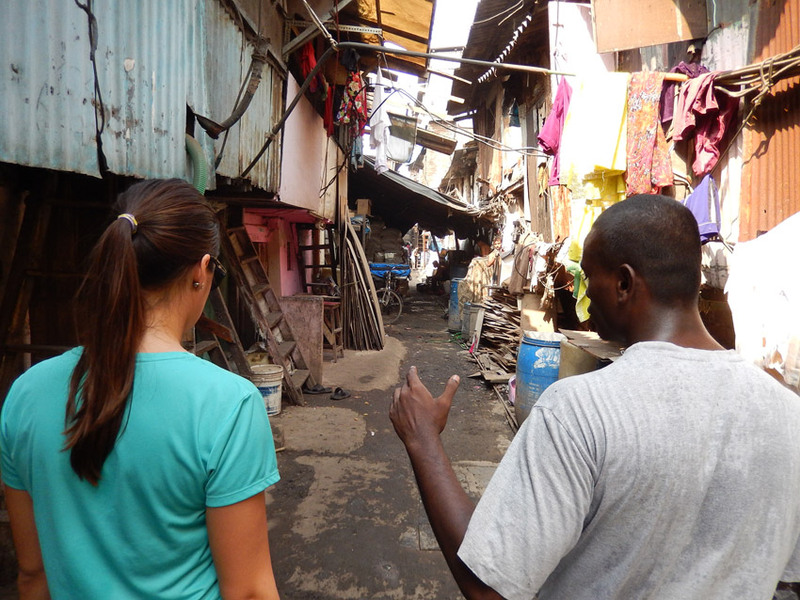 Our guide definitely dispelled some myths about slums, such that everyone who lives there is miserable and poor. The truth is they all have jobs, though low paying and often dangerous, but in general they have enough to feed their families without begging. The government provides basic health services (doctor visits are cheap), the drinking water sources are improving, and they even clean the sewers at least annually before rainy season. 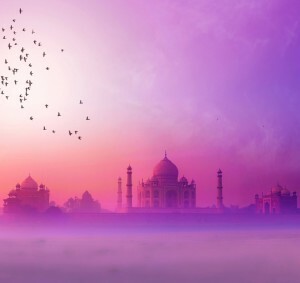 Again, we think a positive tour experience depends on the tourist – stay in a small groups, don’t invade private areas (or book tours which do), and smile at locals who acknowledge you. 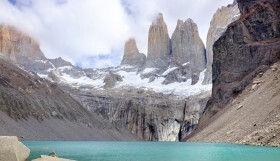 It is up to us as tourists to ensure tour companies don’t impede on peoples’ lives. If there isn’t a market of unethical tourists, then there won’t be any unethical tour companies. Hi, I am very happy and glad to know that you’ve liked our ‘The Brisk Beat Slum Tour’. Our efforts to dispel the negative image of the Dharavi and slums is in progress and working. Akash Dhangar is a friendly and funny guide. He was born in Dharavi so, he knows every nook and corner of the slum. He is happy to know that you have posted something very positive about his work. Thank you for your kind review. It was pleasure having you on the tour. Hope to see you again.